Small triangular shawl from handspun yarn. 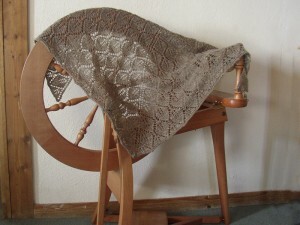 I made this from the BFL tops that I was given when I was learning to spin. I made a 2ply of roughly 18 WPI with it. I was proud of that yarn when I spun it – but when I came to knit it, I realised just how terrible it really was. Very under-plyed! Some of it was under-spun too. This one is for me, to pop round my shoulders when reading in bed. It is small, but just right for the purpose. 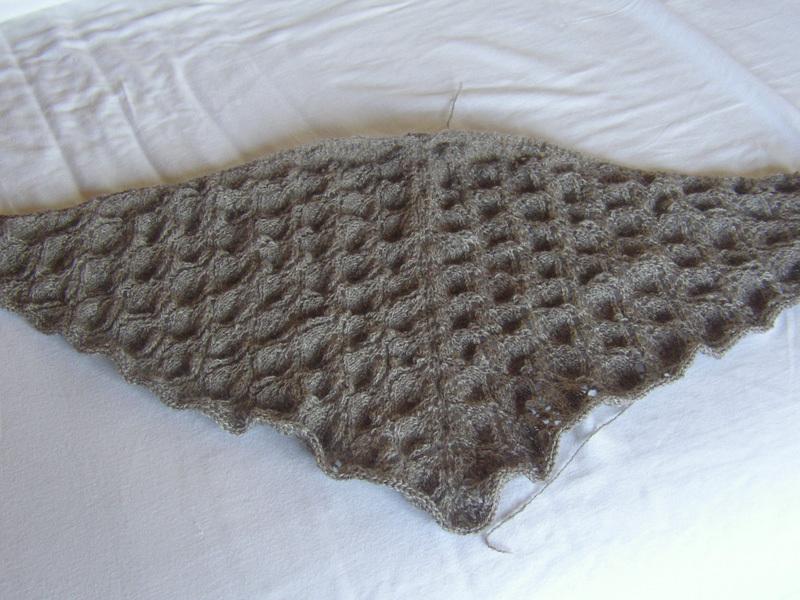 If I knitted another, I would put at least two more repeats into it at this weight. Another project that took a long time to come to fruition. I had a couple of false starts with this but it went very quickly once I made my mind up to settle to it. A simple knit; quick and easy – suitable for last minute gifts. 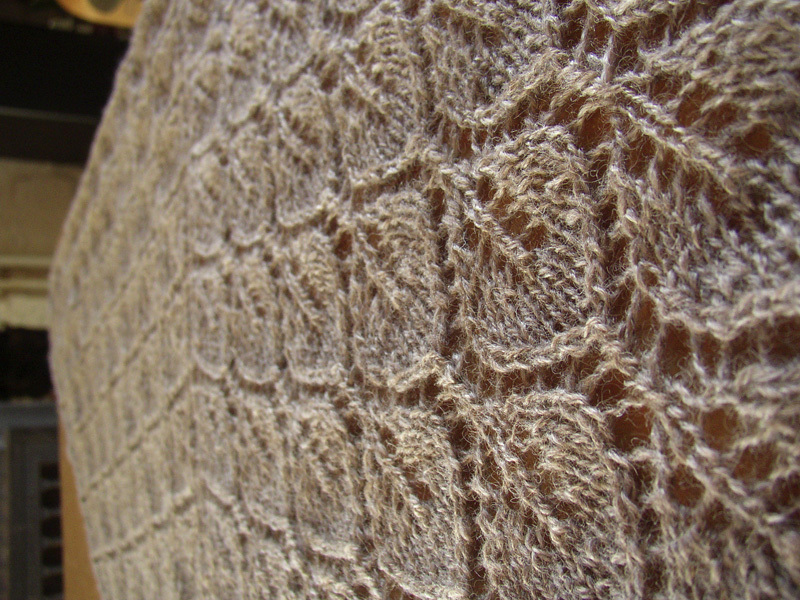 This example took just 4 days/sessions of active knitting. 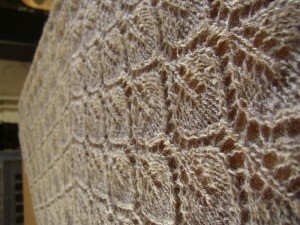 I had problems when I was blocking this. Both sides of the top edge were the same size, the centre line was straight… and yet one wing was two inches longer than the other. I tried and tried but just couldn’t work out how to make it come right. 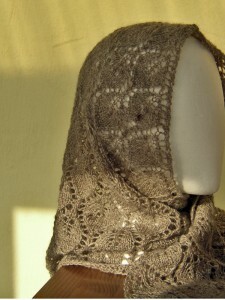 Another headscarf - this came out exactly the same size as the pink Swallowtail Shawl, 46" by 25"